Fahrenheit 451 is about fire fighters of the future who do not actually fight fires, but seek and destroy books. In this future society where books are illegal, everyone is sedated by mass media on television. But living within the docile crowd of ignorant masses are small pockets of underground, literate intellectuals. Fahrenheit 451 is about a fire fighter protagonist, Guy Montag, joining the literate underground and being awakened to the truth. Recently I am fascinated by classics like this, 1984 and Brave New World. Each of these describe a dystopian future with many prescient details. Times change, but in so many ways, the struggle remains the same. The individual spirit fighting against the machine designed to crush it. 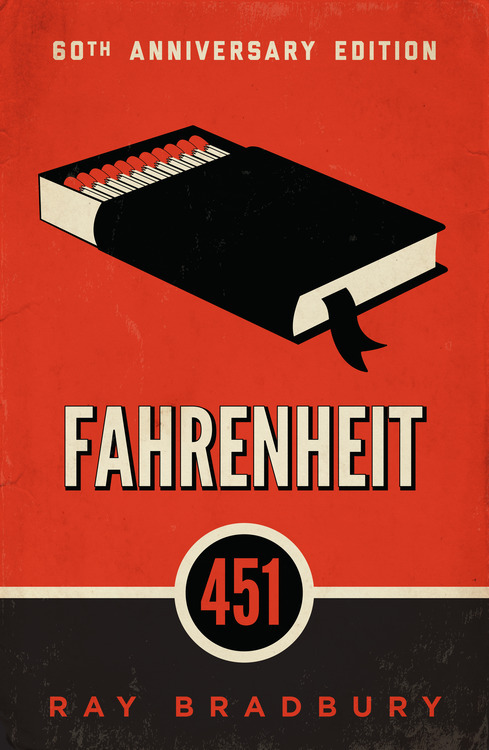 Fahrenheit 451 was written over a period of three years, beginning in 1950. At the time televisions were not common yet Ray Bradbury’s vision of the future of media is startlingly prescient. In 2015 we are on the cusp of entering into a new era of immersion, with consumer virtual reality devices like the Oculus Rift coming soon. But even 60 years ago, there were signs that literature was going to be blown away by visual media like movies and television. 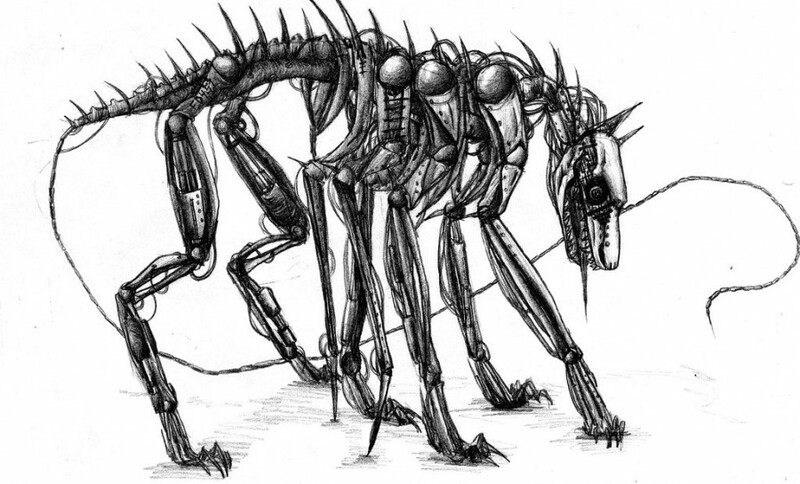 One of my favorite literary devices in the book is the mechanical hound: an eight legged autonomous robot designed to hunt and kill fugitives. It is a terrifying symbol of the technological superiority that the ruling class has over would-be rebels like Guy. Its modern equivalent is certainly the drone, quietly patrolling the skies like a mechanical hawk. This book is daring, subversive, and scary. It correctly predicts advances of future media with startling accuracy. The seashell that everyone walks around listening to in the book works exactly like an iPod. Eliminates the outside world allowing listeners to only hear things which validate and comfort their own beliefs. Guy Montag’s wife Mildred is constantly fixated on a television which occupies an entire wall in their house. I have that in my living room. This book was written to say: this is what the future looks like, if you let it. In my opinion, there was no stopping these developments. As a society we will take the red pill and go further into the rabbit hole of technological immersion, with little resistance. We each have a personal responsibility to acknowledge and cultivate our own individuality by educating ourselves. One of the touching messages in this book is that literature has “stitched the patches of the universe together into one garment.” This is an inspiring way to think about the texture created by the knowledge and experience captured in literature. It rightly challenges the idea that I have long held that reading literature is not as as worthwhile as non-fiction. The highest degree of human expression is not fueled only by knowledge but by passion and the individual spirit which challenges the status quo and to a degree rejects orthodoxy.